AFTER being driven to the brink, Fitzroy River's unique "bum-breathing turtle” population is on the way back thanks to a nest protection project. 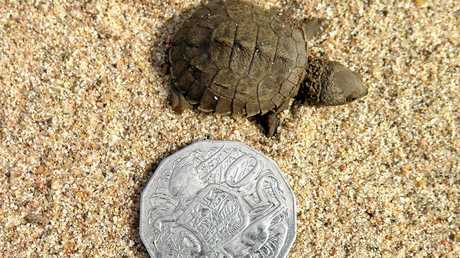 With almost 100% of the vulnerable "bum-breathing turtle” nests typically lost to predation, the project has given over 5,000 tiny Fitzroy River Turtles, measuring the size of a 20-cent piece on hatching, a much-needed hand. 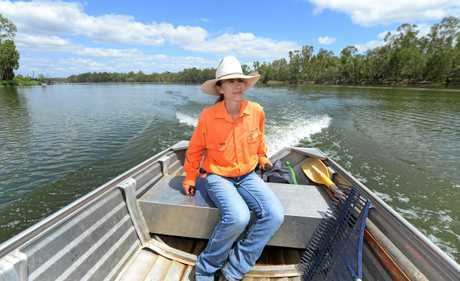 For six days a week between September and December, Greening Australia Field Officer Kymberly Robinson and her volunteers braved the Fitzroy River's many crocodiles to locate and protect turtle nests by covering them with a protective mesh until the eggs are ready to hatch. "They are a really unique animal to the Rockhampton region as they are found only in the Fitzroy Basin and are bum-breathers - they breathe through gills in an area called the cloaca. 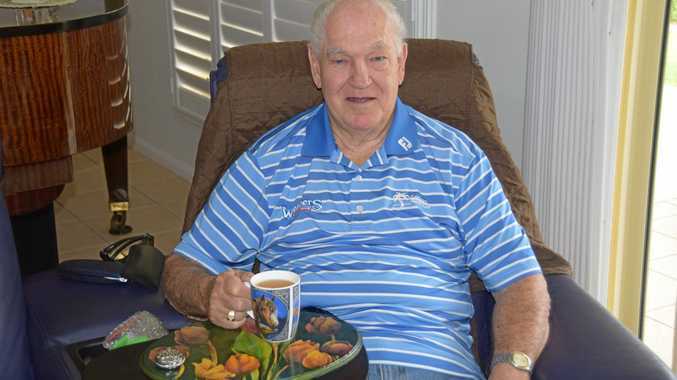 This enables them to stay underwater for up to 21 days at a time,” Ms Robinson said. . Concerns were raised about the future of the threatened reptile after surveys indicated that the population is ageing due to the low survival rate of youngsters. 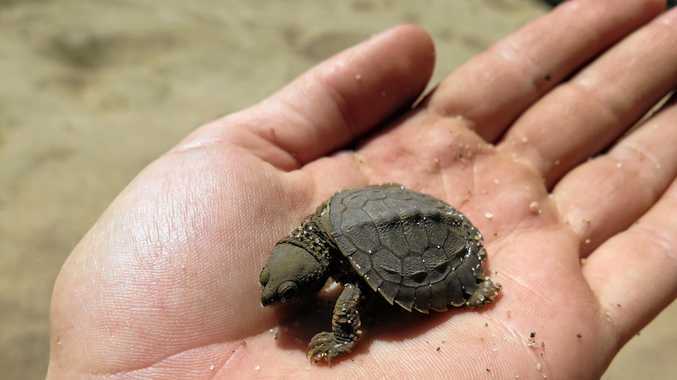 "Last season we protected 93 individual turtle nests, from which we believe 1,661 healthy hatchlings emerged and entered the water,” she said. Ms Robinson said the turtles nest on steep, sandy banks laying between 16 to 20 tiny, oval-shaped eggs in a chamber beneath the sand which leaves behind "a lovely mark like a sand angel”. 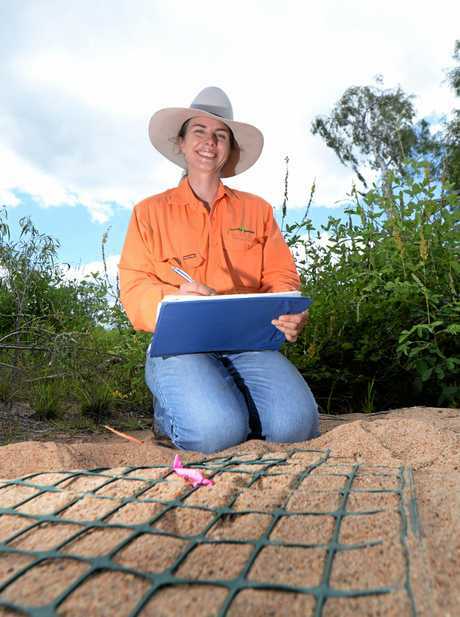 "Without protection, almost all the Fitzroy River Turtle's nests are typically lost to predators, particularly feral animals like foxes, cats and pigs,” she said. The mesh prevents predators from digging up the nests, while still allowing the tiny hatchlings to emerge. Once in the water the hatchlings face a tough life until maturity, with only an estimated 1 out of every 100 surviving. 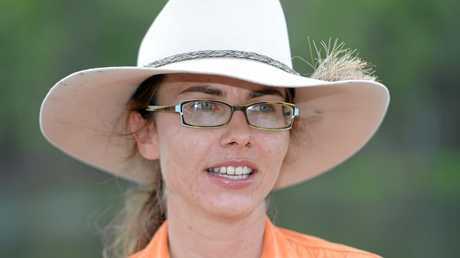 "It would be really great to be able to expand the area and scope of our work,” Ms Robinson said. This project is supported by Fitzroy Basin Association Inc. with funding made available through the Australian Government's National Landcare Programme.